The first Christmas I spent entirely drunk was in Florida. Coincidentally, Florida was the last place I was drunk for the holidays. In 2013, I visited my twin and brother-in-law in Miami. I cornered her after I downed two vodka sodas to demand an explanation and an apology for why she never visited me. I argued loudly that she should try to see me as often as I saw her. My childish expectations blotted out our precious time between my hectic Los Angeles travel schedule and her burgeoning podiatric career. The gifts, it seemed, were unequal. Later that evening, I threw up over the balcony while she slept on the couch, then forced her awake to eat Denny’s with me. 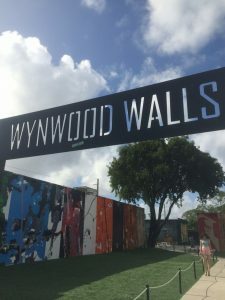 The next day, we visited Wynwood Walls to ogle the remainder of the Art Basel festival that had just passed. She was gracious, but I knew I had overdone it. I once loved—then hated—the holidays with parallel enthusiasm. The fact that arbitrary days corresponding to pagan harvest rituals were co-opted by Christianity made holidays an affront to me, someone who just wanted to be left alone. 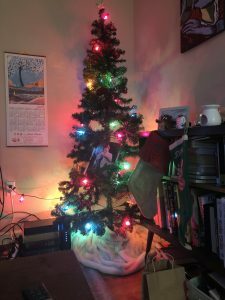 It is only recently that I decided not to hate the holidays anymore. This year, like the last four years, I am opting in. I have fewer items on my own wish list, more as the result of spiritual fulfillment rather than material gain. I failed to budget for Christmas presents, despite the fact that I knew I had more people in my life to think about. I went to Target the day after Black Friday to buy decorations. I then purchased lights to don our tree and windows, along with a $3 sweater for our dog. I lit that goddamn tree, with nary a single thought about how I wandered into Target, Carter Blanche, without a plan. 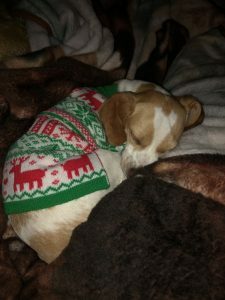 Roberta, after she chewed up half of her sweater. The thing about holidays is, they keep happening. 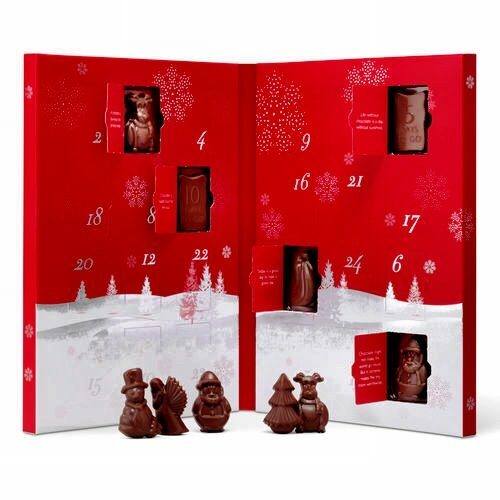 Every year, every chocolate-laden calendar reminds us there are more expectations lurking behind flimsy cardboard doors. I feel shocked, year after year, that it’s already Thanksgiving, Christmas. Such an odd thing, to dedicate so much time and energy to a handful of days in the year. Even my pock-marked iPhone calendar indicates nationally-observed holidays I forget we are supposed to celebrate. Each year, I react with earnest sincerity as though time itself were the surprise. Speaking as someone who has never once had a period at the same time of the month, I reserve the same exclamation for something I know will surely come. It always has, and I am often relieved. Holidays never mattered to me the way I thought they should. I’ve never turned down a gift, nor have I, to my knowledge, looked a gift horse in the mouth. All I cared about was my twin and I getting equal amounts of gifts under the tree. As a child, I expected our parents to treat us exactly the same. As an adult, I am horrified at the possibility that I will one day have twins who compare and contrast the efforts/monetary value of gifts from their parents. 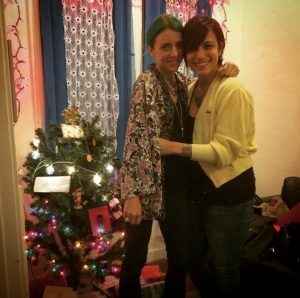 I spent my first Christmas sober with friends I met in recovery; I knew I could not avoid the inevitable. I also couldn’t afford to fly home, though I desperately wanted to be with my family. My friends and I listened to Bowie, exchanged gifts, ate an entire chocolate cake and drank four pots of coffee. They stayed past midnight, leaving me loved and wired from what I refuse to admit was too much caffeine. I was afraid to be alone that night, but only because I felt lonely. I didn’t anticipate wanting or needing to feel comforted; I had only prepared for the possibility that Christmas might make me want to drink. The intneral shift I felt my first Christmas sober laid bare the part of me I had long since hidden. I saw that railing against consumer-driven holidays was fine as it went, but my instinctual need to be around those I love eclipsed my intellectual protestations. I celebrate Christmas Eve for the astonishing fact that both my twin and I got engaged the night before Christmas, seven years apart. I celebrate Christmas with my new family members because it’s an excuse to see them and give each other gifts while wearing sweatpants and eating food my husband cooks. 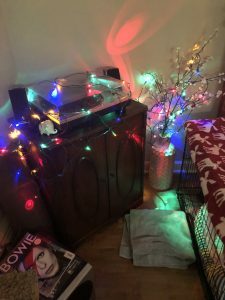 I celebrate holidays in 2018 because the unremarkable passage of time means I am still here for it. One more day, after all, means one more piece of chocolate.